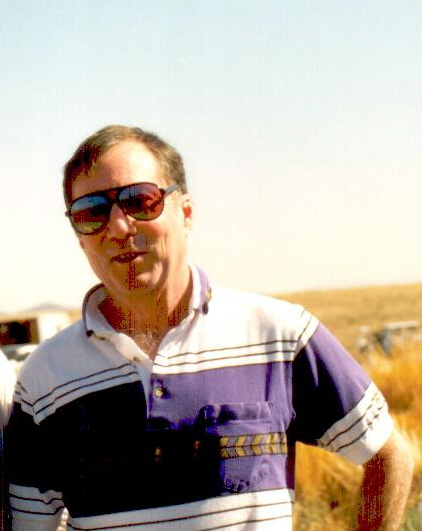 Back in the mid-1990s, New Mexico Representation Steven Schiff asked the Air Force, and by extension other government agencies, what they knew about the UFO crash outside of Roswell. The Government Accounting Office, as it was then known, approached many of those agencies, asking for a search of their files for any documents relating to the event. Predictably, no one found anything that wasn’t already known. The FBI, for example, provided a redacted copy of a message from their Dallas office about information derived from their telephonic investigation of the incident, citing Major Curtan (actually Kirton). I’ve had a complete copy of the document for years which is why I know they misspelled Kirton’s name. So what? You might be asking yourself. In March, 2012, according to the DoD response, they could find none of the files… where have we heard that before? What has been learned, thanks in part to the document dump by Edward Snowden, is that the special operations commander, Admiral William McRaven, ordered the military files purged from the DoD computers and sent on to the CIA. This way they could more easily be kept from the public. This was done in a blatant attempt (yes, those are my words) to evade the rules of FOIA and the appropriate federal regulations governing the release of this sort of information. The CIA can prevent the release of operational files and this can’t be challenged in court… well, I suppose it can be challenged, but the law would prevent the release. So now we fall back to the middle of the 1990s, when agencies were searching high and low for any documents that related to Roswell and all said they had nothing that was responsive to that claim. Could it be that those files were moved to other locations to avoid release to the public? actually done long ago to hide the paper trail for which we have searched for so long. Remember, Patrick Saunders told family members, specifically, daughter Susan, “how well he had covered the ‘paper’ trail’ associated with the clean up!” (She wrote to me on February 20, 1997). In other words the government was not completely candid in what they had said about the records… or rather, I suppose you could say they were candid; they just looked in all the wrong places. All this really does, I guess, is show us that the GAO investigation wasn’t the end all because we now know that they, meaning the government agencies and not necessarily the GAO, do hide information. This doesn’t prove that something about Roswell is hidden. It merely opens that door, just a crack. And I suppose we just add this to all the other information that demonstrates that the government doesn’t release everything it has as we have seen time and again, whether it is the Air Force telling Senator Jeff Bingaman of New Mexico that there never was a Project Moon Dust, to the Condon Committee telling us that UFOs have no effect on National Security. It means, unfortunately, much of what they say is not based in any known reality. Just minutes ago I received some very sad news. 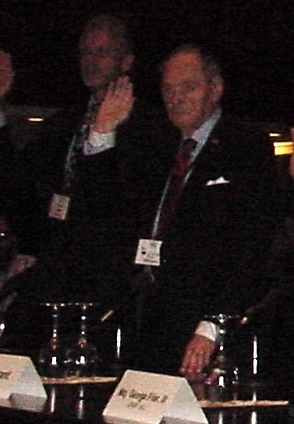 Jesse Marcel, Jr. died of a heart attack on August 24. He was alone, at home, apparently reading a UFO book when he died. were in Roswell to film a segment for the old Unsolved Mysteries that aired on NBC. We had gone out to dinner with a number of those in town for the program and since we shared a military background, including that of Army Aviation, we connected immediately. As medical doctor, he was trained as a flight surgeon and I, of course, had been a helicopter pilot. From that point I met him quite a few times as we both explored the Roswell UFO crash case. He, as a young man, boy really, of eleven was exposed to metallic debris that his father had brought home late that July night. He told the story to all who would listen with little in the way of variation. I learned of the special bond he’d had with his father. He told me that that one day, he had asked his father what the atomic bomb looked like and Jesse, Sr. had drawn a picture of “Fat Man.” He then shredded it and burned the pieces. Although reluctant to share they story outside a small circle of friends, he did mention it at the Citizen Hearing in Washington this last May. another planet and might have the first person in modern history to have seen writing created on another world. He had small, replica I-beams made with those symbols on it, and while it is just a replica, it is a very interesting one. But what I think of mostly, these days is his military service. 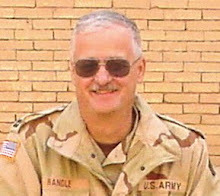 He had retired from the Montana National Guard as a colonel but was recalled to active duty for service in Iraq. Before he deployed, he asked me if he should take a personal computer with him and I said it had been the best investment I had made, if only for the DVD player in it. His service there seems to have affected him more deeply than did mine. He spent a year there treating those who needed his help, but came back suffering from PTSD. The deployment cost him his medical practice because he could no longer trust his hands. Loud, sudden noises caused him to jump. He was more on edge, nervous, than he had been before going to Iraq. It was something that the government failed to recognize in the way they should have. He was a patriot who served without complaint, did what was asked of him and made the sacrifices he had to make. members and offered his story to the former representatives and senators. They all seemed captivated by what he said, probably because he was one of the few first-hand witnesses to some of the Roswell events present. While many of us could talk of what we had been told by witnesses over the years, Jesse could talk about what he had seen and done personally in July 1947. He handled the debris. He did call the International UFO Museum in Roswell this year telling them that this would probably be the last year he could attend. His health, while seeming not all that bad, did limit what he could do and how far he could travel. I suspect that he thought his health would deteriorate making a trip to Roswell extremely difficult if not impossible in the near future. I saw, the other day, in the Skeptical Inquirer, an article by Benjamin Radford about plagiarism in paranormal writing. He was suggesting that some “writers” lift case reports from others and report as if they are their own. I know these things happen in the world of the UFO and the one instance that springs to mind is a line written by Ed Ruppelt in his The Report on Unidentified Flying Objects. In writing about the fabled Estimate of the Situation, Ruppelt said, “The situation was UFOs; the estimate they were interplanetary!” (Page 58, Ace paperback). I have seen that very line in several other UFO books. It is a case of straight plagiarism. And while it is true that facts cannot be copyrighted, it is also true that the specific words used to describe those facts can be. You cannot copyright the telephone directory because that is an assembling of fact, but if you add any “sweat equity” to it, that is some creative way to present those facts, then that can be copyrighted. Or, for our purpose, you can copyright your particular interpretation of facts around a specific UFO sighting, but you cannot copyright the facts themselves. Everyone is free to use the facts of the Roswell case, for example, but they cannot lift, verbatim, the specific words that I use to describe the case. As I say, Radford’s article got me thinking about this, and what I find in the world of the UFO is not the plagiarism, but the use of case “facts” that simply are not facts. This is the real problem in writing about UFOs. For example, many years ago, I was writing a magazine article about mysterious disappearances, and I had found the tale of Oliver Thomas who had disappeared from his home in Wales around the turn of the last century. This case sounded suspiciously like that of Oliver Lerch who allegedly disappeared from South Bend, Indiana sometime in the late 19th century. Brad Steiger had written about Thomas and at that time, meaning long before the Internet and all the electronic sources available, I knew the secret for finding Brad Steiger. I called him to ask about the case and he said not to use it. He had since learned that it was a hoax. And I learned a lesson with that telephone conversation. Sometimes the information published in the books is not accurate. Sometimes the writer learned, after publication, that a case was a hoax, that the information was wrong in some fashion, or that the spectacular details did not match the facts when the case was carefully examined. In the last few weeks I have published a number of cases like that. The best example is probably the report of a formation of disks seen over Cedar Rapids, Iowa. Although the case was recounted in several books, including those of respected researchers, I learned that the witness was not in Cedar Rapids and the only connection to Cedar Rapids was an article in the local newspaper actually identifying the location as another city in another state but giving all the relevant information. But this wasn’t plagiarism, or as one person suggested, “Plagiarism is using one source but research is using two…” And even with that, I would have still published the inaccurate information because none of the sources I had (five in total) had the original story right. Here’s the real point. We all have the ability to do this. We all have the ability to take these cases back to the original sources. Too often we just don’t do it. We get the information we want… and it doesn’t matter which side of the coin you find yourself, that is debunker or proponent… and we end the search. We don’t ask that one additional question. We don’t look for that one additional fact. And we can change that. In the world today, we need to take everything back to the source. When I found myself in Lubbock, Texas, I took the time to research the Lubbock Lights and image my surprise, in the early-1990s, to find Carl Hart, Jr. in the telephone book. Or while in Fort Worth, I went through the newspaper’s morgue, looking for information on old UFO sightings and found some interesting though obviously fake reports of the Great Airship. If there have been some spectacular or not so spectacular sightings nearby, check them out. Talk to the witnesses. Search the original sources of the information, and let’s see if we can clean up the landscape. If nothing else, we can remove much of the clutter as we move toward some sort of an answer. participation in it. 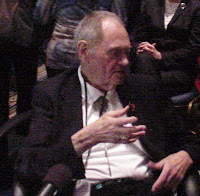 He was talking about how he had faked UFO sighting solutions, his personal knowledge of the Roswell UFO crash and how he had a hand in writing the “Blue Book.” He seemed to think that it was a document with a blue cover, and while the various incarnations of the official UFO investigation did produce reports, there was never anything that was actually the Blue Book. 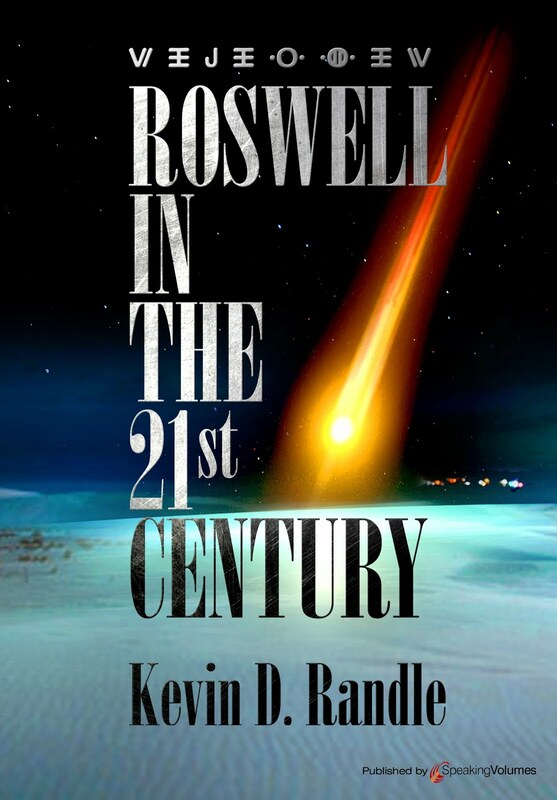 His comments about there being two alien craft that crashed in Roswell, including one that was shot down by an experimental fighter, were quickly published all over the Internet pushing his name in front of many others. 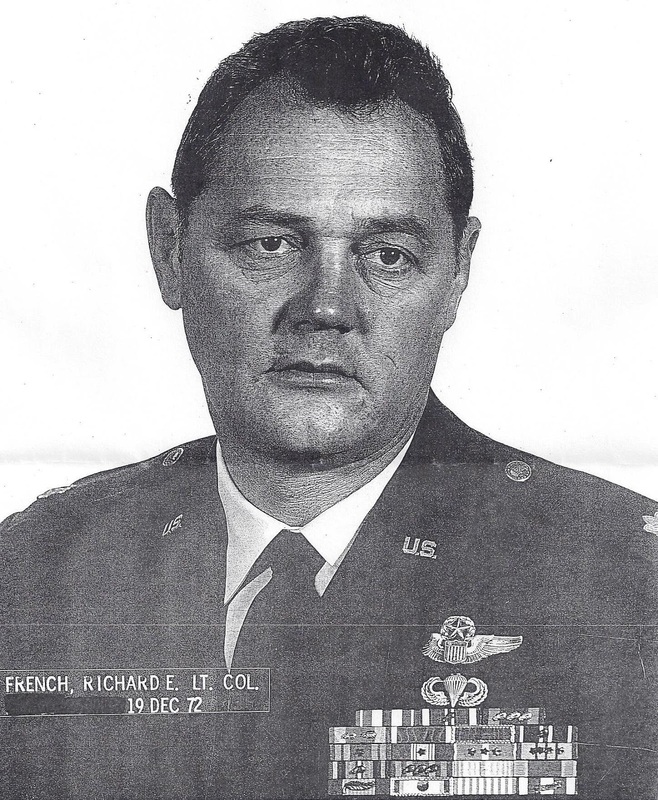 Additional comments about his involvement in UFO research, or rather debunking of UFO sightings, on orders by the Air Force, were accepted as authentic by many without bothering to check his credentials or if his story was consistent. It added a new level of conspiracy to the already cluttered landscape of the conspiracy minded. see where all the problems lie with this tale. According to what he has said to her, he had spent 27½ years in the Air Force and that he spent most of his time as an Operations Officer. His records do not confirm he spent so much time in operations and that is really a trivial point. He also said that he was the youngest officer in the Air Force to hold the position as operations officer. This makes no sense because he doesn’t specify at what level he held the job though he does say that it was with the 8th Tactical Fighter Squadron in Germany. That isn’t exactly a high level position and I would be surprised that he was the youngest ever to hold it. This seems like so much hyperbole to me. This is not hyperbole and is not accurate. It is just wrong. According to his records, he entered active duty in the middle of 1952, and in August 1952 was assigned as an administration officer in FEAF (Far East Air Force… meaning Korea… or Japan supporting operations in Korea). He did receive, according to the records, the awards that suggest service on the ground in Korea. There is no evidence that he was a pilot in Korea. In fact, according to the available records, he didn’t enter flight school until 1954, and since that school lasted about a year, there is no way he could have deployed to Korea as a pilot. The war ended in July 1953. He also attended advanced training at Nellis Air Force Base for eight additional months, meaning that it was mid-1955, at the earliest he could have been assigned as a fighter pilot. It is unclear from the record if he was only in Southeast Asia for that nearly month long period, or if it was part of another, longer assignment. It is not clear that he was in even Vietnam at the time which means the flights could have originated from an Air Force base outside Vietnam with flights over it. His records do indicate, however, that he was an assistant operations officer with the 478th Tactical Fighter Squadron at Cannon Air Force Base, New Mexico during this time. So, it seems, based on the records, that it was not a full tour in Vietnam but a temporary duty assignment. There is a citation in the record which places him in Vietnam in 1968, but I have nothing else about this. This could easily be and probably is a full tour in Vietnam. I have no records for anything beyond that, though it was in 1969 that Richard Nixon began to wind down American participation in the war. Given all this, it would seem that French can claim two “flying” tours in Vietnam. There might be another, but I have seen no record of it and as I say. The real trouble begins when we move away from his documented military career and into the claims he makes about UFOs, his part in the investigation of them, and his orders to debunk UFO sightings. At the Washington Citizen Hearing, French said that he was one of the few to see the Majestic Report referring of course to the Majestic-Twelve documents and what many of us believe to be a hoax. French talked about a meeting Truman held with a bunch of high level people including all the Chiefs of Staff about the Roswell case. They wrote a short report, which he claims to be the only living person to have seen (which of course makes it impossible to verify). He didn’t attend the meeting, and given his military career, I don’t know when he would have had the opportunity to see it, if you believe such a document ever existed. About 18:50 into this Cassidy interview, he explains why they wanted to keep the Roswell UFO crash secret. Here is where another problem develops. According to what he said to others in other interviews, one of the alien spacecraft that crashed near Roswell in July 1947 had been shot down by a new weapon that worked along the lines of an electromagnetic pulse (EMP). But when asked why the government kept the crash a secret, he said it was because we had no defense against the aliens and their craft. First he was telling us we could shoot them down and later saying that we had no defense against them. Demonstrating that he had very little knowledge of Project Blue Book, at 20:07 in the interview he said, “At that time the Blue Book… had a blue cover but it contained all these different stories…” Here he seems to be suggesting a real blue book rather than an investigation of UFOs. He doesn’t get that Blue Book was a code name and not an actual book. He said, “Official Air Force Blue Book. 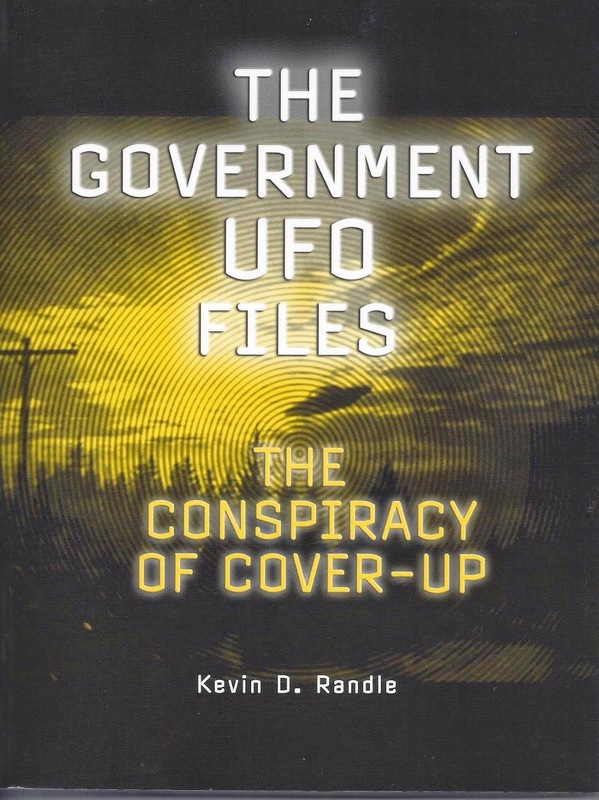 It’s the Air Force official report on UFOs.” He even claimed authorship of part of it. During that interview he said that he had just graduated from college when he went into the Air Force. He said in another interview that he attended Oregon State University. According to the university, he attended from 1947 to the winter of 1952 but didn’t receive a degree. Now, I know that sometimes the universities make mistakes, but the evidence from the official documentation doesn’t suggest a degree. While it is always possible that he finished his degree work after his military service, there is currently nothing in the record to indicate he earned his bachelor’s degree from Oregon State University. He also mentioned that he had two Ph.Ds, one in philosophy and another in astrophysics, “from Kings College online education system.” I searched the Internet for any reference remotely like Kings College and found one in Great Britain that offered a degree in astrophysics, but in an email response to me, they wrote that they do not offer an online doctorate in astrophysics. At about 36:00 in the interview he said did research at MIT and Stanford… this work was research on cancer and that he and another fellow invented a device that would get 50 miles to a gallon of gas in an old eight-cylinder Buick. He said that he couldn’t sell it because they invented when gas was thirty cents a gallon, but today, with the pressure to increase gas mileage, it would seem that they could. He said that is was some kind of light ring that went into the carburetor that created oxygen so that the fuel mixture burned more efficiently. There is currently no evidence to back up these claims. This book is far more than a simple battle scene narration. It's a story embracing courage, love, and a penetrating view of the human mind under extremes of stress. The central figure, a jet fighter pilot, spends years in spine chilling Korean and Vietnam combat plus cold war actions around the world. A naturally endowed psychic, he sees flashes of incidents past and future that he doesn't understand and fears to share. Among these are fortelling President Kennedy's death and predicting his own violent combat death that is vividly related in the opening chapter. The story flashes back to narrative form and follows the hero's life through a series of aerial actions, a failed marriage, romantic episodes and incidents, and a friendship of warriors that lasts through thick and thin. It reaches a startling conclusion when, after death, the man's immortal spirit endures afterlife pain and eventual reincarnation. In creating the “hero” of his book, he used autobiographical information to add a note of authenticity to the story. Many authors incorporate bits of their lives into the books they write. Here I think that French then turned the tables believing that some of the embellishments added for characterization were now traits he held as well. He invented a character and then became that character. What disturbs me about all this is that it is clear that French served in the Air Force and did so honorably, but once that service ended he began to invent additional accomplishments. For some reason, he decided that he had been a member of Project Blue Book, though there is no evidence to support this. He decided that he had seen some Majestic-12 documents, ones that no one else has seen, but has offered no proof this was true. He decided that he talked to the late Philip Corso about UFOs and that he, French, somehow knew that Corso was telling the truth, though he gets much of the Corso story wrong. He gave us a version of what happened at Roswell, but clearly he couldn’t have been involved in 1947 simply because he was not in the military at the time, wasn’t in the area, and had no reason to know about it. His tales, now repeated throughout the world, are second hand at best and pure fiction at worst. I am baffled why a man with the military record he has would embellish it to the point where it is almost unbelievable and insert himself into projects and incidents that he clearly could not have been involved in. We see some of the fiction in his claims of flying tours in Korea, and see those fictions grow as he moves through his career. But I want to be fair here. Let me point out that the man had a distinguished career and was an Air Force officer. 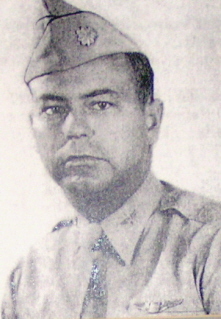 He began serving in 1951, as a second lieutenant commissioned after taking ROTC in college (though I should note that he entered the Army Reserve as a PVT in June 1948). That lead to an active duty assignment in the middle of 1952 and lasted until he retired, as a lieutenant colonel in August 1974. He served first with the AFOSI and later as a fighter pilot. He served in Korea, was awarded the decorations that would go with such an assignment and served in the FEAF (Far East Air Force). There is no question that he served in Asia during that war but he held a ground assignment. In 1954, or about six to eight months after the shooting war ended, he was sent to flight school. Total training time, including his advance transition into the F-86 was about eighteen months. The records I have only cover his career until late 1968. I will note that according to the records, he was awarded a Silver Star, two Distinguished Flying Crosses, 24 Air Medals and a Purple Heart. Unlike so many others, he had a fine and distinguished career that required no hyperbole. 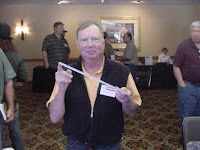 He was an Air Force officer, he served in two wars, and was decorated for that service. There would be no reason for him to complicate his life by inventing tales about his service, what he did, and what he saw. What this demonstrates is that even a man with a fine military career will invent tales to bring the spotlight on himself. Money doesn’t seem to be the motivation. It is the power of the spotlight and those who will believe practically anything as long as the message is one they wish to hear. Unfortunately, he now joins the ranks of Robert Willingham, Mel Noel, Gerald Anderson, Cliff Stone and Frank Kaufmann. The evidence is not there to support French’s tale of UFO involvement and inside knowledge. All he has done is muddy the waters even more for those of us trying to get a clear picture.